The product comes with a 50 year limited warranty for material defect. Building owners can opt for a more comprehensive warranty that covers material and labor for up to 20 years. These warranties are stellar because they cover most of the components of what the manufacturer and contractor have control over, and they depend on an impressive inspection process. 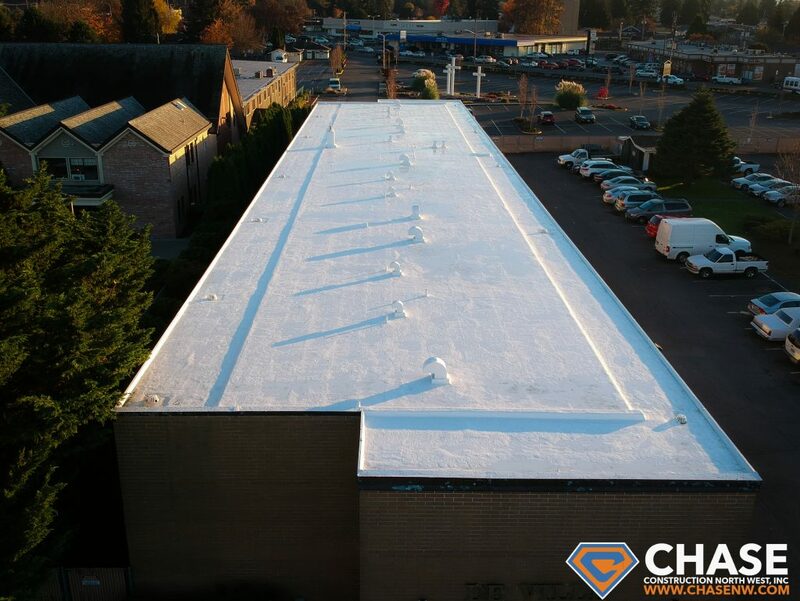 We recently roofed an apartment complex in Auburn with GacoFlex S2000 and had a blast doing it! 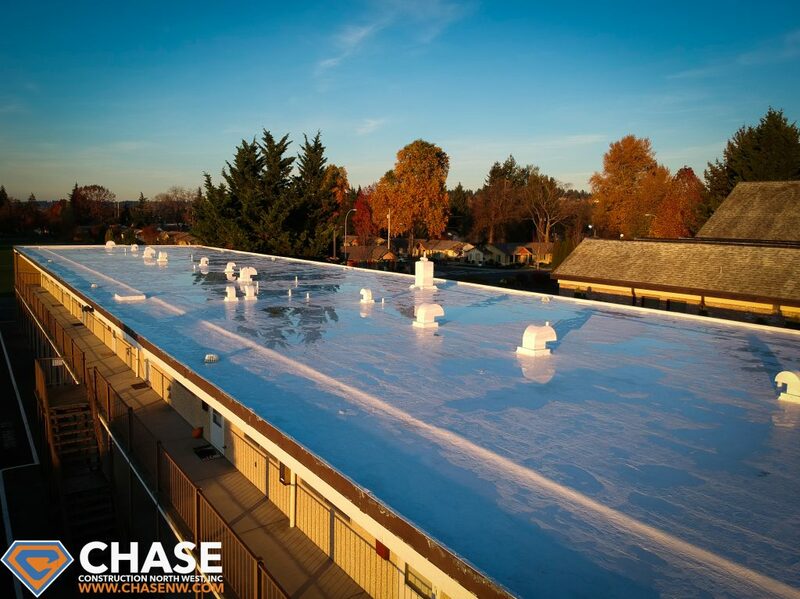 We were able to capture photos during the sunset, which beautifully illustrates the reflectivity of the liquid silicone coating and its ability to hold ponding water. 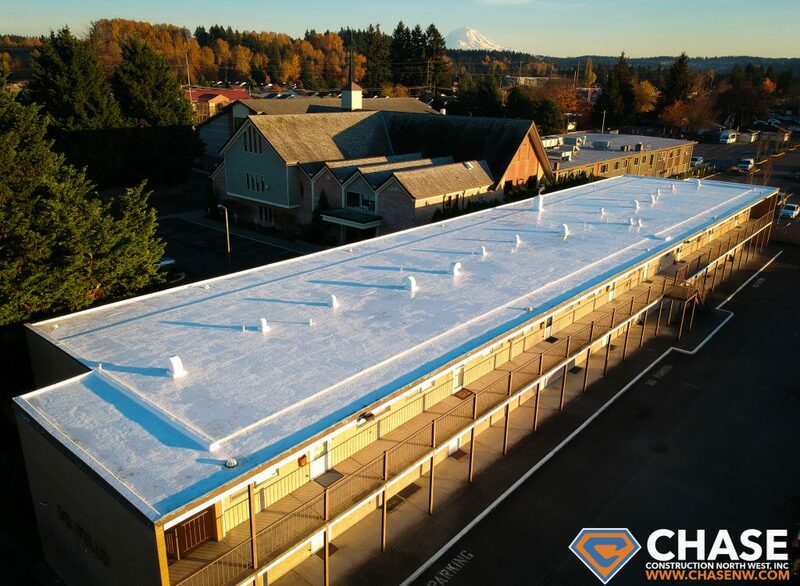 If you want a liquid silicone roofing system to add decades of extra life to your roof, CHASE CONSTRUCTION NORTH WEST, INC. has everything you need! 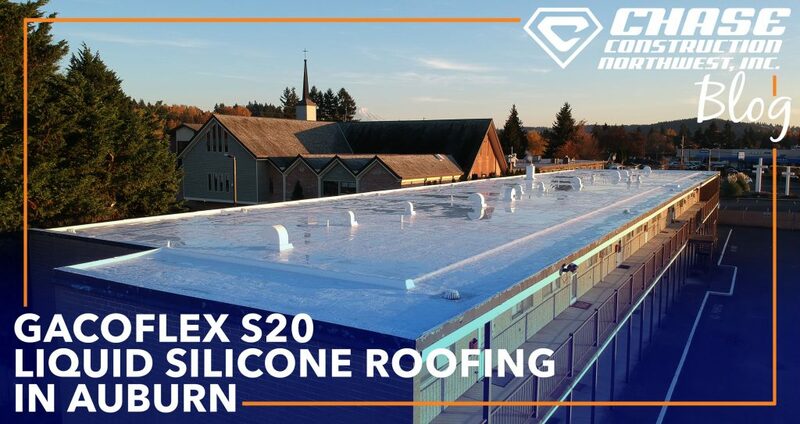 We’ve been applying GacoFlex systems since 2011 because they’re the best liquid silicone recover systems in the industry. Please call us today for a free estimate or fill out our online quick estimate form!